Some of us grow up different. Don’t ask me why. Things started when I was a very small boy. One night, when I had been put down to bed in the back bedroom of the small semi my parents owned in west Hull, I recall watching a little blue man jump out of the mirror of the kid’s wardrobe I had in there. As if that were not enough, this little blue guy pulled out a gun, shot at me, and then leaped out through the window (through the glass). If I had been a bit older, I might have seen where things were headed generally, because my Dad was in that room so fast I don’t think I had even yet started to scream. I was so shocked. He, and my Mum downstairs, heard the bang of the gun shot! I still don’t know what or who that little blue man was or why he was shooting at me in my room that night but I have long suspected he was a nature spirit; an elemental. By the age of 11 or 12, I was reading voraciously. While I will admit to the odd Enid Blyton, the books I read were by Madame Blavatsky, Denis Wheatley and, I am pretty sure, Franz Bardon. I started attending a group at the local Methodist Church called the Church for spiritual and Psychical Research (or similar). 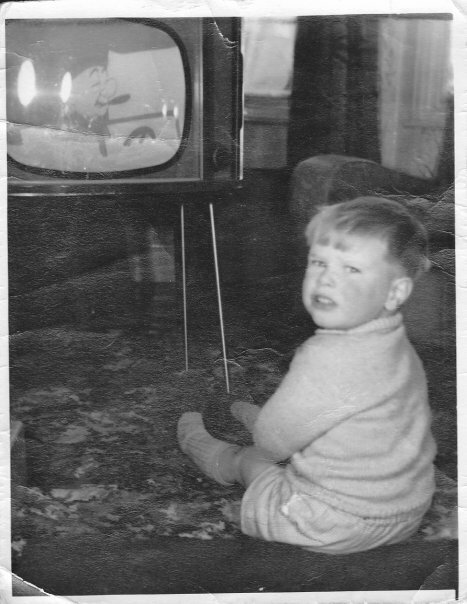 There wasn’t a soul under 55 except me and yet, my Dad was OK with this…. In a way, he encouraged it asking me about what I had learned and discussing many things with me. I discovered somewhere in my mid teens that Dad was scared by the occult and spiritism. He did tell me why one day and I understood. He told me that when he was a small boy, his mother – a medium – had asked him and his brother if they would like to meet her spirit guide. They did. He recalled that his Mother literally changed into a Chinese gentlemen sitting in front of them. Quite naturally, he wanted no more to do with such things. Many other such tales are told in Inner Journeys. The book tracks my love/hate relationship with my innate psychism and continued fascination with the occult and nature of reality. It discusses how I finally joined and studied with the Servants of the Light and what an impact that had on me. How I was able to finally bring things under a modicum of control. Since then, I have continued to chip away at myself and investigate this topic. Of course, many things have changed. The internet, quantum physics, science… it’s easier these days to gain access to information and people. Easier to discuss, talk about and yes – write about. Me? I’m still on a journey. When I was a 6-7 year old I knew things. I didn’t get this from books, the internet, or TV. I got it from me and my dreams. In all honesty, I feel as if I know less now than I did then and I know why. The world drags us in. It forces us to adapt, change and become ‘normal’. It places us in stressful situations where, if we conform, all is more or less acceptable whereas, if we fight to be US, we get trouble. In the process, we are told what is normal and what is not, what we should see and what we shouldn’t, what exists and what does not….. So, there you go. I am trying to re-learn what I knew when I was a small boy. I am trying to relearn how to be a child. How to imagine with total clarity and see the hidden things, the magical things that exist all around us. Jesus said, “The man old in days will not hesitate to ask a small child seven days old about the place of life, and he will live. I am asking. I am asking my Inner Child.